That is known as the first comprehensive university in this land of great traditions and long-standing history. The new millennium demands that we make a more concerted effort to bring our education system to serve better the developmental needs of the country and become a serious growth factor, to enrich our cultural heritage through cross-cultural understanding, and help the society absorb the global technological changes and bring Mongolia’s science and academia to a new achievement level. As a consequence, the NUM attaches great importance to the continued reform of its provisions as it is regarded as the strategic vehicle for supporting the country’s development of human resources able to adapt to the ever-changing social, economic, and technological conditions. Currently, the NUM is launching a major initiative to strengthen its research capability and quality of curriculum that is to better serve changing needs of the Mongolian society. An important strategic consideration is to improve our collaborative ties with business and academic community. We will make an extra effort to improve our technological capacity reaching out to the most talented. The NUM will emphasize the research in support of the country’s strategic goal of economic growth and well-being of people of Mongolia. The main objective of the University’s web site is to provide a platform for effective interaction between the NUM and its supporters. It provides an important channel of communication between the NUM and the rest of the world. We hope to continue this dialogue through the Internet to help better communication and understanding of NUM policies and its strategic intentions. 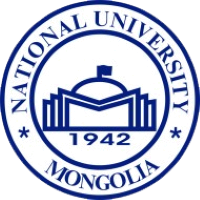 "We aim to become a national model research University which meets world standards and provides pillars for Mongolia’s development." "To become a sustainable university creating and distributing new knowledge in environmental, social, humanitarian and technological fields and contributing the country’s development in extensive level." The NUM is collaborating with more than 220 international universities and organizations from the different parts of the world. As a realization of our partnership agreements, the NUM is growing as a globalizing university with a multicultural academic community and a broad range of exchange programs and joint academic activities. Besides promoting equal and mutually beneficial international cooperation with partner institutions, the NUM is actively involved in coordinating international scholarship programs including Erasmus Mundus, AusAid, Fullbright and Eurasia. The NUM has been a trusted partner of Erasmus Mundus since 2009 with over 70 students and faculties involved in various programs such as Bridging the Gap, One More Step, AREAS and Swap and Transfer. The NUM was selected as a joint coordinator of the GATE program. In addition the NUM faculty and young scholars are strongly supported by UNINET Austria, UMAP-University Mobility in Asia and the pacific through capacity building programs. The NUM aims to cultivate a unique tradition at the University in hosting the lecture series of Noble laureates. So far, the NUM hosted four Noble lectures in fields of physics and chemistry. The main goal of the Noble Lecture Series is to support the interest of Mongolian younger generations in science and to build scientific awareness within the public.